The Kooikerhondje is not a high maintenance dog when it comes to grooming. The breed does have a long coat and once a week brushing using a standard dog brush is enough to keep the beautiful appearance of the coat. Being duck decoys, "Kooikerhondjes" have a naturally waterproof coat that easily repels dirt. Bathing should only be done when absolutely necessary as shampoos will remove the natural oils that protect the water repellant coat. 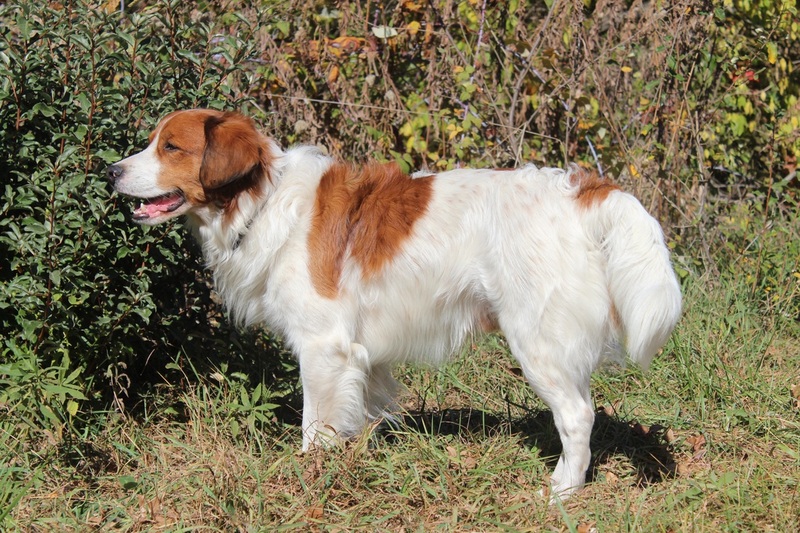 If a Kooikerhondje is bathed too often, their beautiful coats become very puffy and lose their smooth shine. The dog sheds every summer thus trimming the coat is not necessary. However, nails should be trimmed as needed and teeth should be cleaned regularly.